Approx 18% of the electricity bill is comprised of lighting. So, it's one of the essential part which you can use to improve energy efficiency. But how do you do it? Don't know? It's very simple you just need to change your regular light bulbs with energy efficient lighting bulbs. Nonetheless improving efficiency with energy saving lights, you can save money as well. 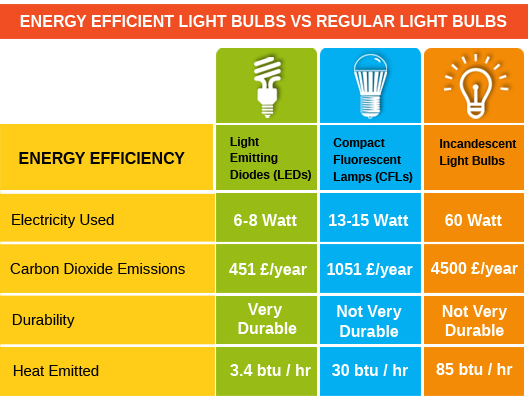 Let's have a look on Energy Efficient Light Bulbs Vs Regular Bulbs. Energy efficient light bulbs – Mainly, you will find two types of energy efficient light bulbs in UK. Compact Fluorescent Lamps (CFLs) Buls. Light Emitting Diodes (LEDs) Bulbs. Compact Fluorescent Lamps (CFLs) Bulbs – It is basically used for general lighting. 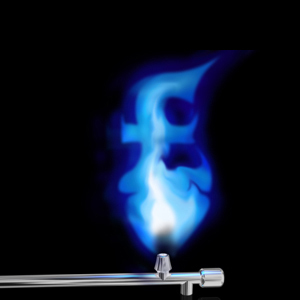 CFL is also cost effective and if you use it, definitely you are going to save money. Light Emitting Diodes (LEDs) Bulbs– Two types of LEDs are dimmable LEDs and spotlights. Using a regulator you can increase and decrease the brightness of these LEDs. You can replace all your halogen lights at home with LED in order to Save Money On Electricity Bills. Regular Light Bulbs – Regular light bulbs are incandescent light bulb with wire filament heated upto such an extent so it glows with visible light. It is very less efficient then any other types of electric bulbs. Do You Want to Know Who is Cheapest Supplier in Your Region? Turn off light when you don't need it. Use smart tech like Thermostat and Smart Meter to control your Energy Bills. Heat only required amount of water. Use washing machine and dishwasher on full load.